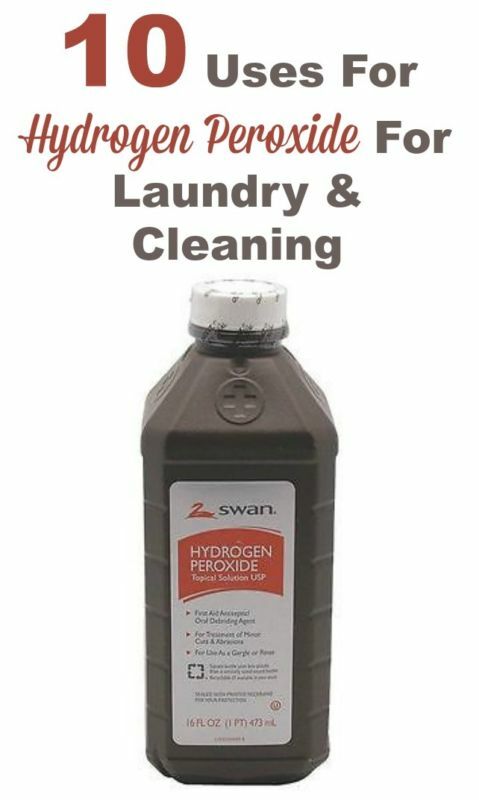 Hydrogen peroxide can be really useful in laundry and cleaning, with these 10 hydrogen peroxide uses given in this article you’ll be able to remove stains and dirt easily. Everyone knows by now you can clean with baking soda and vinegar, but often people don’t think about hydrogen peroxide as an ingredient for cleaning, but they really should. This stuff is frugal, eco-friendly, and really can produce amazing results for both your laundry and for cleaning around your home. Hydrogen peroxide is a type of oxygen bleach, which means as you’ll see from the uses listed below, it’s got a lot of laundry uses, as well as cleaning uses. Brighten clothes as an alternative to bleach. Instead of adding either chlorine or oxygen bleach, you can add 1 cup of hydrogen peroxide to your washing machine load as a natural, eco-friendly bleach. 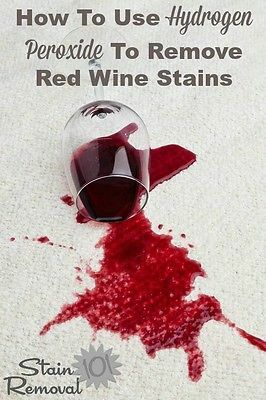 Versatile DIY pretreat stain remover. If you enjoy making your own laundry products don’t forget this easy recipe for a versatile stain remover — 2 parts hydrogen peroxide and 1 part of dish soap. You can mix this recipe together and keep in an opaque spray bottle and use in a similar fashion to any other laundry pretreater.